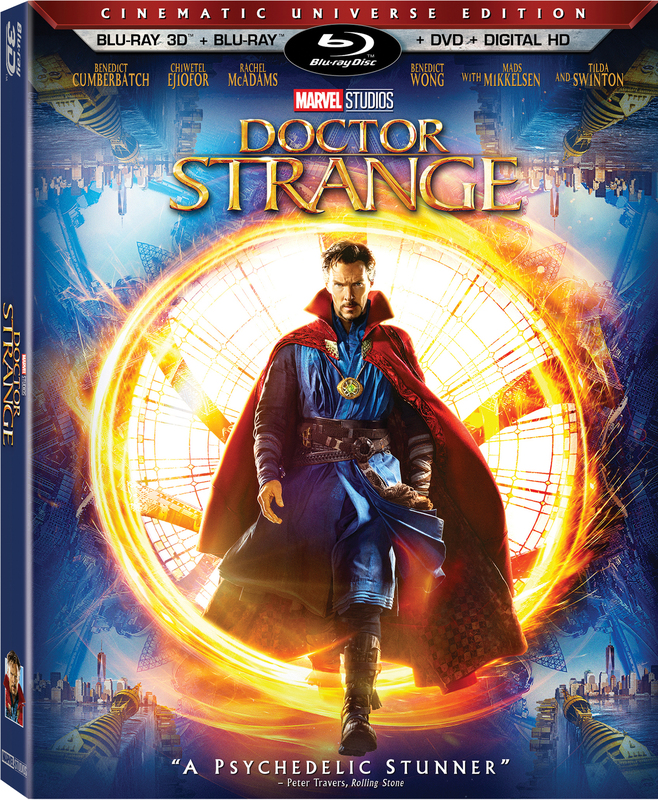 Doctor Strange the hit movie that introduces us into the mystical side of the Marvel Universe is coming to Blu-Ray on 2/28, but if you can’t wait it’s already available in digital HD. Watching the film it’s obvious why it was nominated for an Academy Award for Best Visual Effects. But after going through the different bonus featurettes included with the home release, it would be mind boggling if it didn’t win. The innovation needed to create the world of Doctor Strange, the mechanics behind the physical effects, and the fluidity of the computer animation and use of green screen is simply phenomenal. And you can see how all of this came to light with the variety of featurettes that comes with the film when you purchase it. I think I came to really appreciate Director Scott Derrickson and his vision for the film after viewing all of the behind-the-scenes vignettes. He took a lesser known but staple Marvel character and expanded not only the comic book fans perception of Strange, but the entire Marvel Cinematic Universe’s understanding of magic in the Marvel realm. He took these characters and made them true to their history while at the same time changing them just enough to seamlessly fit the story and the broader vision for what’s to come in Avengers: Infinity War. Turning the Ancient One into a British woman was brilliant and risky. Had it been done poorly, there would certainly have been a backlash about casting diversity, but he chose instead to break the stereotypes of what is an outdated concept of a rather “Fu Man Chu” look to the Ancient One and completely turn it on its head. Derrickson does the same with the entire idea of magic as a way of recoding the universe. Quite insightful. And he turned Dormammu from what might have been a laughable character on screen into a true menace and puppet master. The whole flaming head could have been a joke, but the way it was all crafted was brilliant and these concepts are all explored in the bonus features on the BluRay and digital release. Of course, my favorite is always the deleted scenes. I only wish they had come with commentary to further explain why they were cut, but it was great to watch them. I was especially fascinated with the part where Kaecilius quotes Scripture and then kills the priest. I wondered why in the film it looked like Kaecilius was standing in a church. It’s because he was. And it would have been cool to leave in the Kamar-Taj courtyard scene. It showed such a wide-ranging diversity of students following the Ancient One. I’m sure this one was cut for time, but I loved the dude wearing the beanie and headphones. There are lots of other cool scenes, too, but you should watch it yourself. I loved the Phase 3 sneak feature which not only helped to tie Doctor Strange into the overall vision for the Marvel Cinematic Universe, but gave us a sneak peek at both Guardians of the Galaxy, Vol. 2 and Thor: Ragnarok. We get some idea about the conecpt art, filming, and character design for Thor especially which hints at somehow tying into the World War Hulk comic book storyline. Early concept art and ideas for Black Panther reveal a cool and technologically advanced setting for Wakanda which remains true to the comic origins. And of course, there is a very tiny peak at Avengers: Infinity War itself as the creators talk about the process of what it all is leading up to. Team Thor, Part 2 is funny but casts Thor as a bit of an over privileged jerk. It is filled with humor as Thor tries to live a normal life. Watching Thor playing Connect Four and hiring a servant was great. And then Darryl’s analysis that Thor is technically an illegal alien was just hilarious. 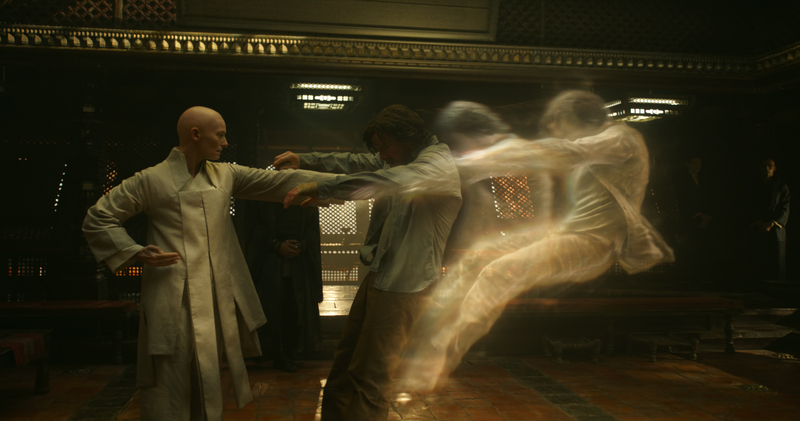 Overall, the home release of Doctor Strange is more than worthwhile. If you’ve seen the movie, you’ll love the bonus features which will make it worth every penny. And if you’ve never seen it, you are in for an incredible treat. Want to read the Disney Nerds original review of Doctor Strange?